Planetpals Craft Page: Make recycle bug jar and bug kit, butterfly net for kids, Fun nature recycle project with the kids! Teach them to love their world and care for it. This Bug Jar is A Natural! 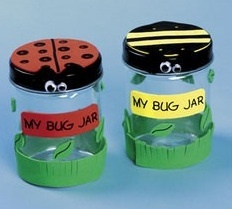 Make your very own bug jar from recycled items. Add a label-This is optional (ie: "Andrew's Bug Jar" or "I love Bugs"
If you use glass jars be careful! 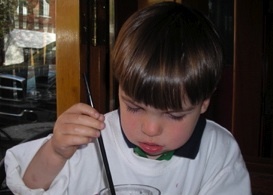 Glass is not recommended for small children.